This just in: the PS Vita is for games. Sure, that may sound like a really awkward statement to make for a portable gaming device, but it's one Sony was probably smart to clarify. Gamers and consumers actively buying products when the PSP was enjoying its wealth of pre-launch hype will probably remember what Sony was trying to get people excited for… everything but the games. They kept touting the device's music player capabilities and the future of movies on their UMD format, both of which faded into the background for most gamers. They made the PSP into more than a gaming system, and, by doing that, they gave gamers the impression that gaming was no longer a priority. Well, to heck with that attitude for the next handheld. 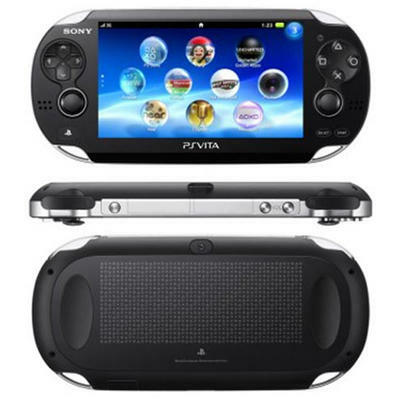 The PS Vita will, according to Sony, be all about the games. Will it do other stuff? You bet. But the focus, here we go, is on the games. We have to concentrate on our plans and make sure we supply the right games, the right experience, the right software, and the right social connectivity for the platform. I believe if you care about games, you're going to want a Vita." Do you think this is a smart approach on Sony's part? Or, would they be smarter to market the device as another do-it-all machine built for more than just gaming? We'll have more on the PS Vita as it comes. The portable is set to release on February 22nd, 2012.